Signed l.r., pencil "Hasui Kawase". 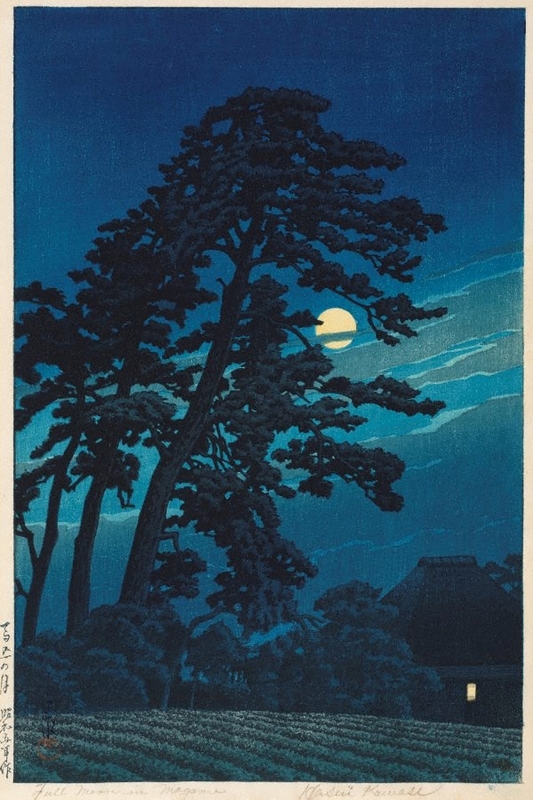 Signed l.l., in Japanese, ink "Hasui". Dated l.l.margin, in Japanese, ink [printed] "Shôwa go-nen saku [printed in 1930]". Emma Glyde, Look , 'To the moon', pg 22-23, Sydney, Mar 2013, 23(colour illus. ).